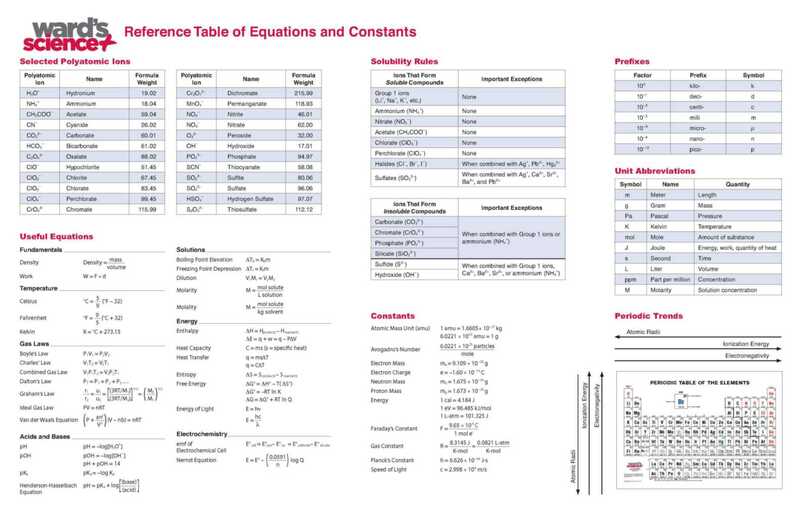 Ward's Advanced Periodic Table is available in a variety of sizes to meet all teaching needs. 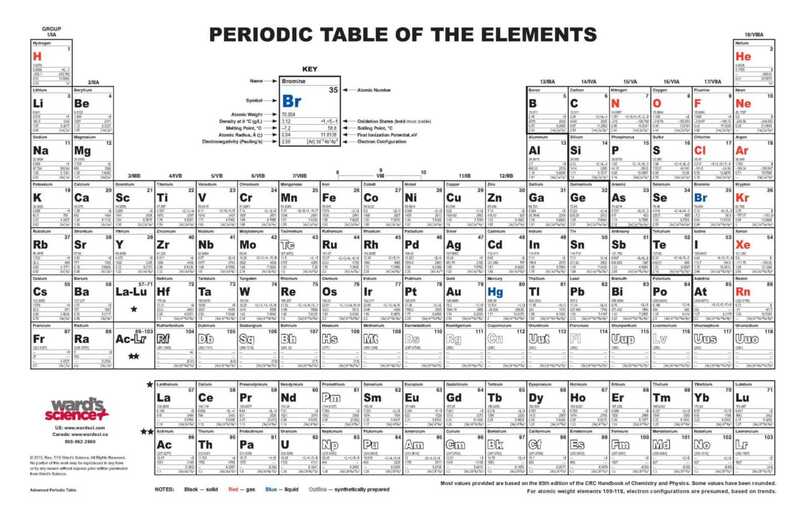 Our most complete periodic table, the chart has a highly visible element symbol, name, and atomic number. 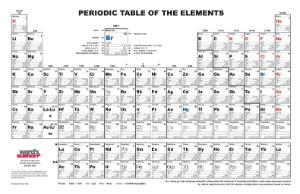 The nine important elemental properties–atomic weight, density, melting point, boiling point, atomic radius, electronegativity, first ionization energy, oxidation states, and electron configuration–are organized in a logical and easy-to-read format. Use missing information as an investigative teaching tool for your students to broaden their knowledge of the periodic table. 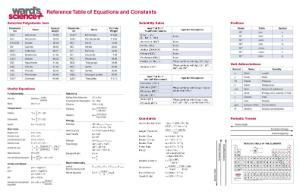 The back side of the 8.5 x 11" and 11 x 17" versions display selected polyatomic ions, solubility rules, prefixes, unit abbreviations, useful equations, constants, and periodic trends. Teachers can hang the larger tables on a classroom wall to reference while teaching.